1. For marinade: In blender, add herbs, garlic, lemon zest and canola oil; process until smooth. 2. In bowl, pour 80 percent of marinade over prawns and gently toss to coat well. Place in resealable bag and refrigerate for minimum 30 minutes or overnight. Toss remaining marinade over asparagus and reserve. 3. At cooking time, remove prawns from marinade and drain for a few minutes. Season with salt and pepper and grill prawns over hot charcoal or wood grill about 2 minutes on each side. 4. Grill marinated asparagus for about 4 minutes or until just cooked (al dente). Cut asparagus about 3 inches from tips and reserve for garnish; thinly slice the rest. 5. For Lemon-Basil Canola Oil: In pot with boiling salted water, blanch basil and spinach until bright green. Remove from boiling water and place in ice bath to chill quickly; drain and squeeze out excess water. In blender, add canola oil, basil, spinach, zest, salt and pepper and process until smooth. Taste and adjust seasoning. Strain through fine strainer and reserve for service. 6. For pasta: In bowl, combine cherry tomatoes, sliced asparagus, red onions, basil and arugula; set aside. 7. In pot, cook pasta in boiling salted water about 7 to 10 minutes or until al dente. Do not overcook pasta and do not rinse. 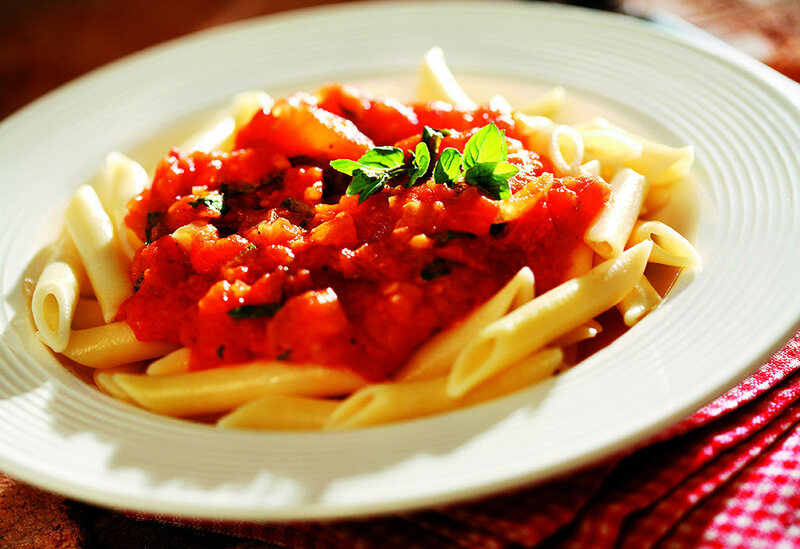 Remove pasta from water and add to bowl with vegetables; toss gently. 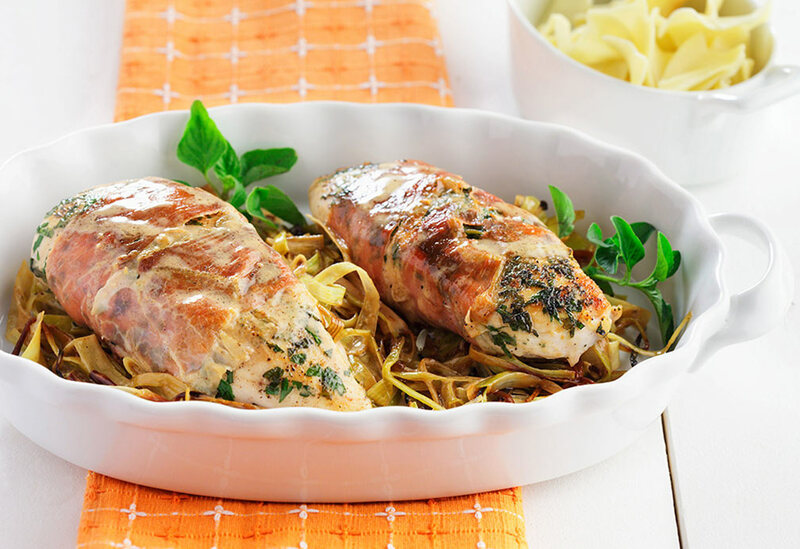 If necessary, add a few drops of hot cooking water so dish remains moist. 8. 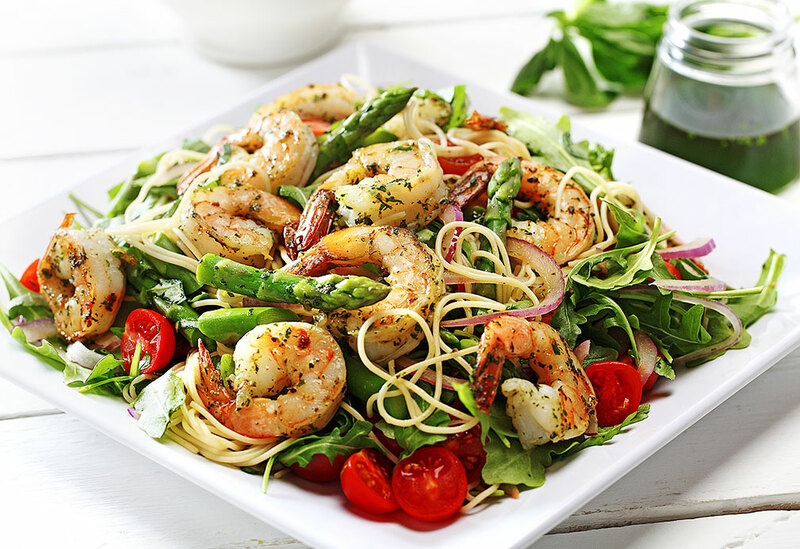 To serve, place portion of pasta in center of plate and add three shrimp and three asparagus tips over top. Drizzle with Lemon-Basil Canola Oil over top and sprinkle with grated Pecorino cheese. 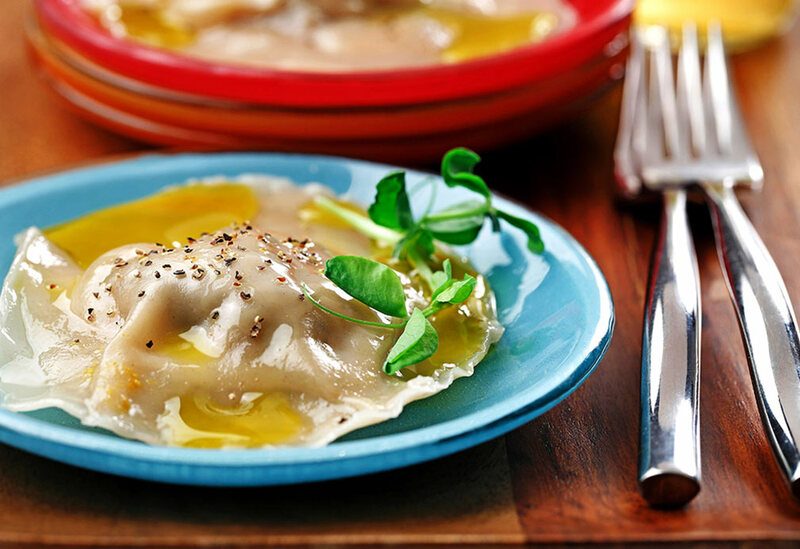 Simple flavors come together to create tasty ravioli that can be enjoyed simply with canola oil and vinegar or your favorite pasta sauce. Try them baked as a crispy appetizer!